In this section, I explain the vision of a rare astronomical event as part of the Final Mayan Prophecy and the opening of the Eight Solar Stones. 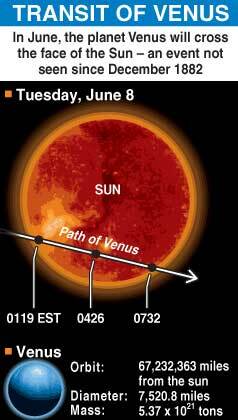 On June 8, 2004, the planet Venus will cut into the solar disk at about 5:20am in the morning and will pass off the other limb at about 11:23am. No one alive has seen this event since the last occasion on which this happened was in 1882, over a century ago. Scientific research will measure, among other things, the diameter of the Sun more accurately, and perhaps, we will get more clues about the properties of our most important star, the Sun. In terms of Mayan/Aztec mythology, it is said when Venus crosses the Sun, an emerging energy, described as Quetzalcoatl or Kukulcan, arrives to planet Earth and merges with the Mayan buildings to complete the final work. This realization presuposes an alteration of human consciousness, a re-orientation and revolutionary change of the consciousness previously perceived to be static, and finally, the awaited incorporation of time as a proper element to our thoughts. A mathematical solution to our realization can be given where the concept as such is not employed rationally as a philosophical abstractum, but expanding the traditional and predominantly static geometry of measurement set down by Euclid, displaced by Descartes' analytical geometry (1637), and later by Desargues' projective geometry, based on perception and illustration rather than on measurement. To incorporate the 'irruption of time' into mathematical thinking it is necessary to reinvigorate it with new consciousness structures, and complete the logistic-mathematical cosmos with the last definitive magic view. The discovery of such relation can be facilitated if we construct the following table, according to my synairetic perception of Descartes' dictum. The results have a potential application but very important to our own existence because it is in the nature of the matrix how humans will understand the complete logistic-mathematical Mayan cosmos without utilizing complex mathematical tools. 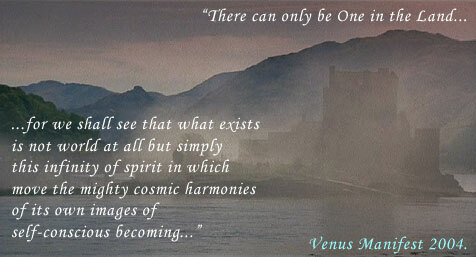 In our three-dimensional structure, three possibilities are happening in our electronic human circuits. The switch 0 (sleep function) can easily be replaced by the use of an universal cellular automata computer in complimentary function with our switch 1 (the brain) to visit the levels of time (called by some experts, cyber levels) or perhaps replace totally our brain with our own thoughts storage program to experience the dimension we want to simulate. Of course, our own death usually simulates the access to different or higher dimensions. See you in 2012 with the Opening of the 8th Stone at Xibalba. The last one and most important of all. "I think, therefore I am." (Descartes, 1596-1650). THINGS TO REFLECT: WHAT IS QUETZALCOATL ANNOUNCING SINCE 1631 FROM THE VENUS PASSAGE? IS MOUNT VESUVIUS LONG OVERDUE AGAIN OR IS OUR MOUNT POPOCATEPETL READY TO ERUPT? WHICH ARE THE THREE FUNERALS CLAIMING THE DIVINE RIGHTS OF THE TEMPLE OF VENUS AND HAILING LONG LIVE THE KING? (CLUE: ONE IN THE US, ONE IN FRANCE, ONE IN BRITAIN)? On December 2004, a powerful earthquake and tsunami ocurred in the Indonesian area as Lord Pakal predicted a global disaster six months before. We still don't learn and understand the Mayan mathematics of Venus. We're too busy with new technology to put attention to the Celestial Book.. Right? Rev. Feb.14, 2004. Copyright 2004. All rights reserved.